This time I am reviewing the Linga Purana. This is the fourth Purana that I have read and am reviewing. The Linga Purana is number 11 in the list of the eighteen Mahapuranas. This Purana is a tamasik Purana, a Purana that glorifies Shiva. The Linga Purana is a comparatively short Purana because it is just eleven thousand shlokas long. It is divided into two parts. The first part is known as Purva bhaga and has one hundred and eight chapters. The second part is known as Uttara bhaga and has fifty-five chapters. This Purana like most other Puranas is narrated by Sauti or Lomaharshana, a disciple of Vedvyasa to some sages living in the Namisharanya forest. There were many interesting stories in the Purana but I would like to narrate one very interesting story. I’m sure that most of you might have heard about this amazing tirtha named Sthaneshwara tirtha. This tirtha is known as the place where wonderful things happen. I would like to share the story of this tirtha with you. His bones would be as hard as the Vajra. No one could kill him. After obtaining these boons Dadhichi went and kicked Kshupa. Kshupa hurled the Vajra at Dadhichi but the sage was not hurt due to Shiva’s boons. Kshupa started praying to Vishnu to get stronger. Finally, Vishnu appeared and Kshupa desired to be able to kill Dadhichi. Vishnu was unable to do so as Dadhichi was fortified by Shiva’s boon but promised to try. Vishnu went to Dadhichi in the guise of a brahmin. Dadhichi immediately saw through the disguise. Vishnu asked Dadhichi to tell Kshupa he was scared. However, when Kshupa came Dadhichi did not say what Vishnu asked him to say instead he said why should he be scared if Shiva was there. An angry Vishnu hurled the sudarshan chakra at him but of no avail. Then Vishnu threw the Brahma Astra but even that had no effect. Other gods came to help Vishnu in his fight but they too were defeated. Dadhichi took a handful of straw and threw it at the gods. Almost magically the straws turned into burning tridents and burnt everyone. Finally, even Vishnu gave up and Kshupa accepted that brahmins were superior. The place where all of this happened is known as Sthaneshwara tirtha. 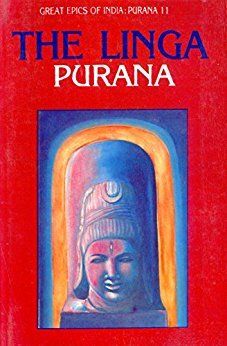 The Linga Purana is the fourth Purana that I have read and was interesting to read. Compared to the other Puranas that I have read, this Purana comes at number 3. This Purana concentrates more on the creation and destruction of the Universe. It also talks a lot about the geography of the Earth. The Linga Purana has less stories and most of them have been mentioned in other Puranas. In a few stories, there is a twist which is added to glorify Shiva. The story of Sthaneshwara was the only story that I had not read before. The other Puranas that I have read and reviewed are the Padma, Shiva and Brahma Puranas. The reviews are all available on my blog.